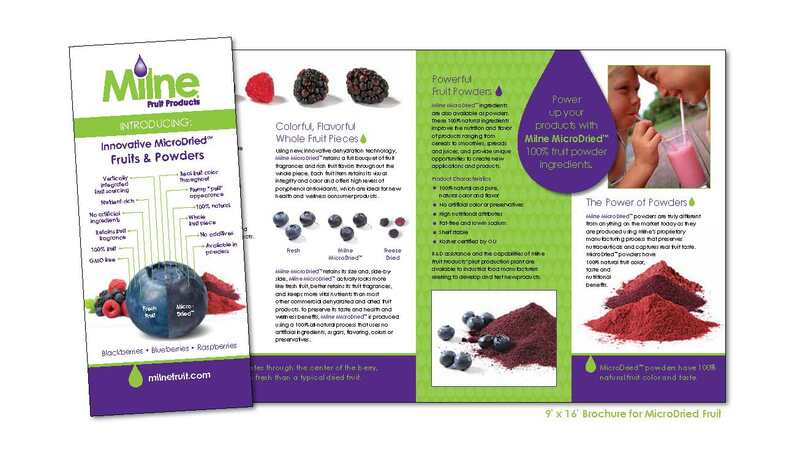 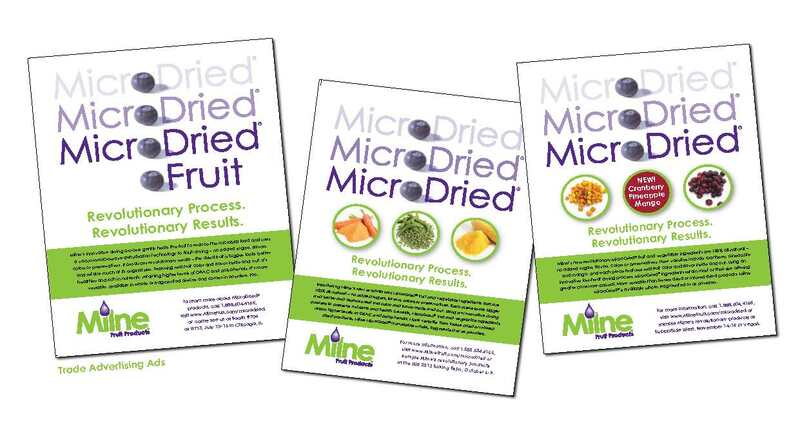 In 2012, Milne introduced MicroDried® fruits, and later vegetables, to the industrial food ingredient industry that uses a revolutionary new process to produce dried fruit and vegetable ingredients. 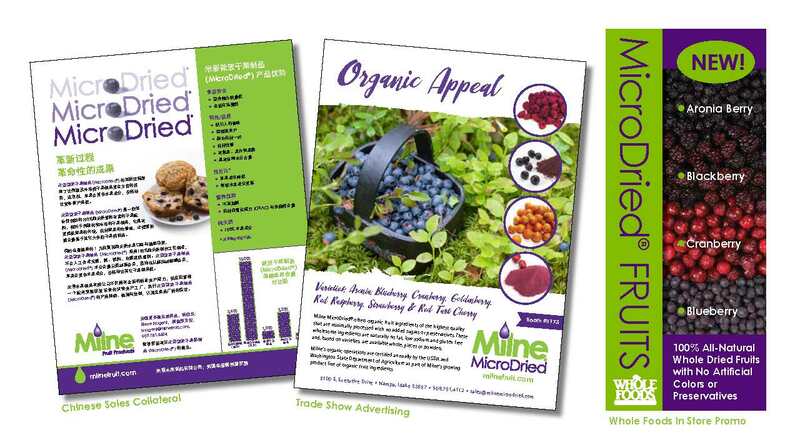 O’Neill Communications created the initial brochures, product photography, new website content and ad campaign at the time of the new product launch and again when vegetables were added to the product line. 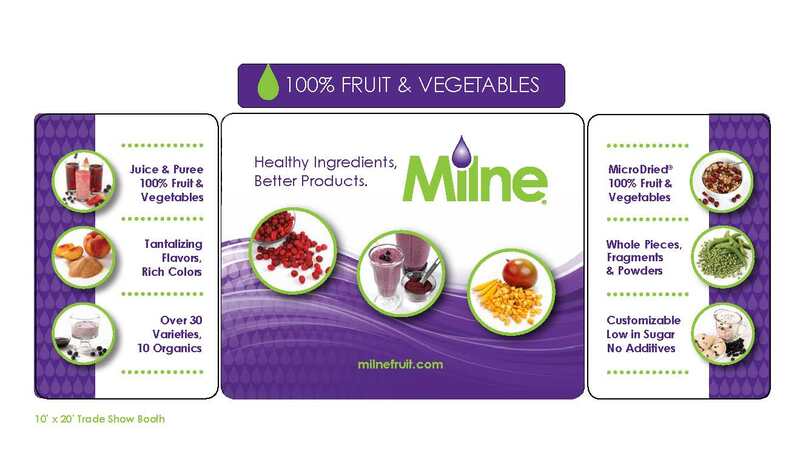 The firm played a vital role in developing broker training and education materials, promoting the new products through news releases, trade shows and special events. 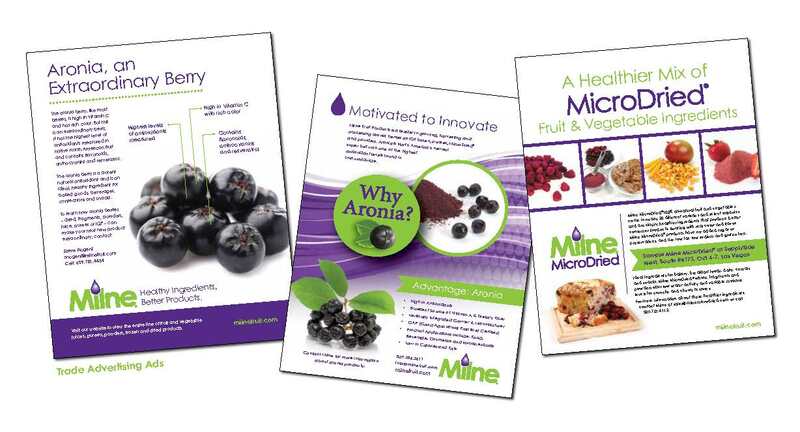 The brand messaging and new product campaign immediately produced new inquiries, created sampling opportunities and ultimately sales. 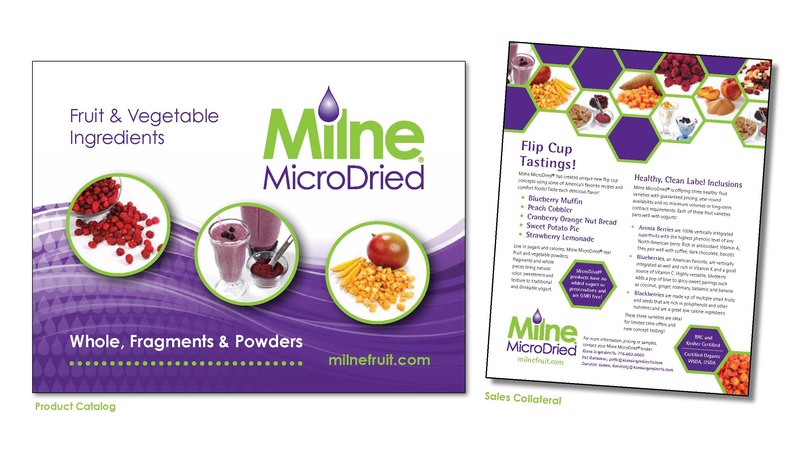 Milne MicroDried’s sales efforts and O’Neill Communications marketing support services created a great deal of market demand which required Milne MicroDried® to double its production capabilities.